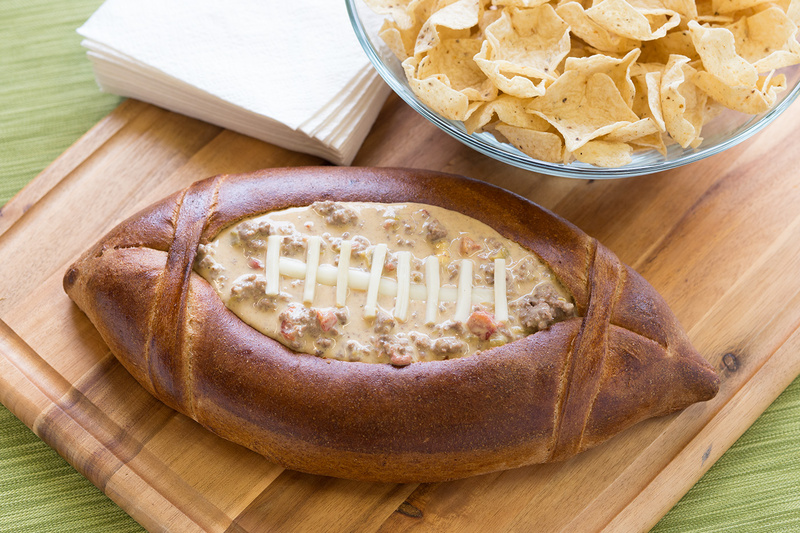 Such a fun addition to your football gatherings and parties! Cut about 2 inches of dough off the end of loaf. Spray counter lightly with non-stick cooking spray and roll the cut off piece into a 9×12-inch oval. Trim two 1×10-inch strips off the oval and set them aside. Place the oval on sprayed baking sheet and shape into a flat football shape.